If you ask me if I could succinctly describe my time in Tottori, I would be able to do in just two words: FOOD TRIP. Yes, Tottori Prefecture has culture, nature, and adventure, but one thing that really stood out for me was the food. Tottori is mouth-wateringly delicious. 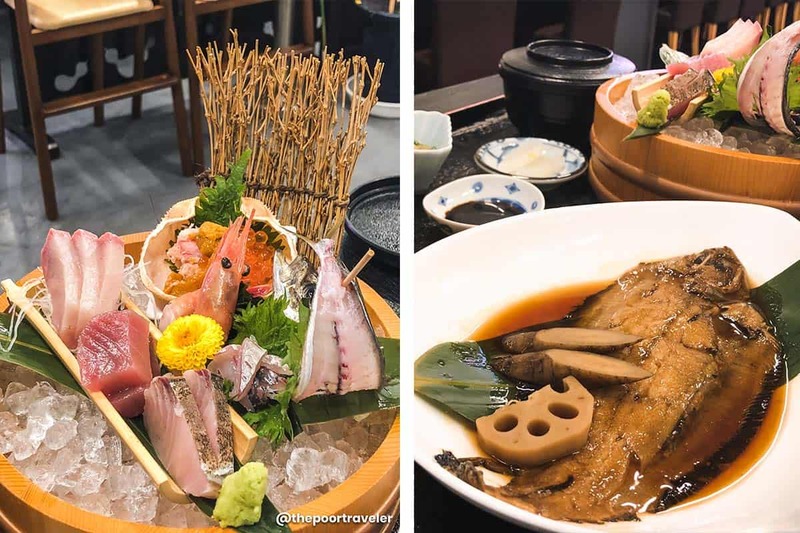 From the melt-in-your-mouth Tottori beef in Tottori City to super fresh matsuba crabs in Sakaiminato to the sinful-but-don’t-care gyukotsu ramen in Kurayoshi, Tottori has an ocean of gastronomic wonders to offer that any visitor should be prepared to drown in. 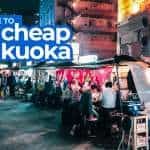 In a previous post, we listed down some of the best restaurants and cafes in Tottori City and Kurayoshi. This time, we’re shifting the focus to Western Tottori and its cluster of towns and cities including Yonago City, Daisen and Sakaiminato. 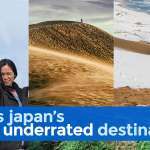 If you find yourself in this part of Tottori prefecture, don’t miss these restaurants and food spots! Japanese wagyu is one of the most globally revered beefs in the world. 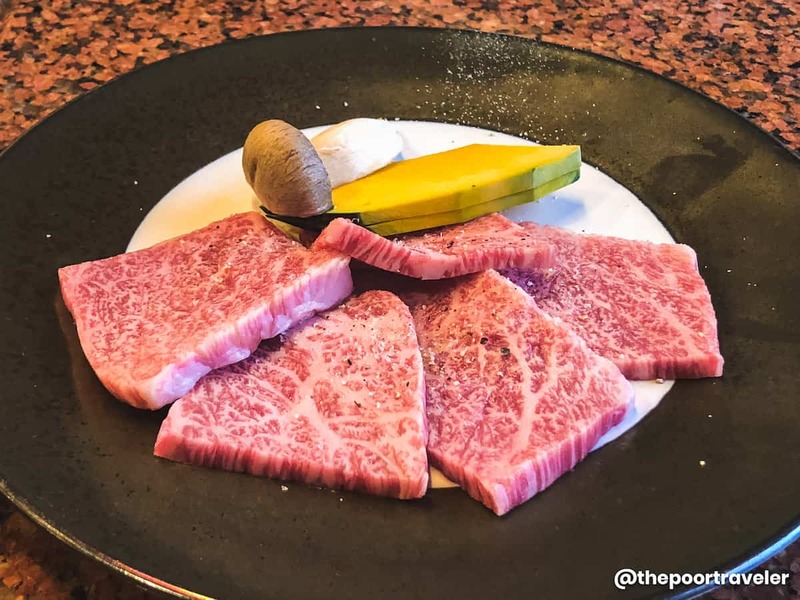 In particular, Kobe beef, Matsusaka beef, and Ohmi beef are all famous for their melt-in-your-mouth quality and infamous for their unbelievably high prices. But there are less expensive types in Japan. There are four breeds of wagyu in Japan, the most common of which is the Japanese black cattle (Kuroge wagyu). This wagyu has four strains, named after a place in Japan that produces it: Tajima, Shimane, Okayama, and Tottori. Kobe beef, Matsusaka beef, and Omi beef all come from Tajima strain. The Tottori pedigree is a different strain but just as worthy. In Yonago, one of the places to go for Tottori beef is Sumibi Yakiniku Imagawa (Imagawa Charcoal BBQ). Imagawa is known for using charcoal grill and serving local produce including Tottori wagyu and Daisen chicken. It’s a small place with only a few tables, so you’re assured of attentive service. Aside from their signature meats, they also have a salad buffet composed of local vegetables. Coffee is also free. The best part about it is that the prices are friendly. 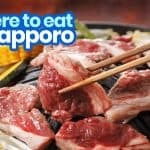 How to get there: Imagawa Yakiniku is 700m away from Sambommatsuguchi Station. From Yonago Station, take the train to Sambommatsuguchi Station. Travel time: 10 minutes. Fare: ¥190. From there, Imagawa is only 4 blocks away, around 10-minute walk. 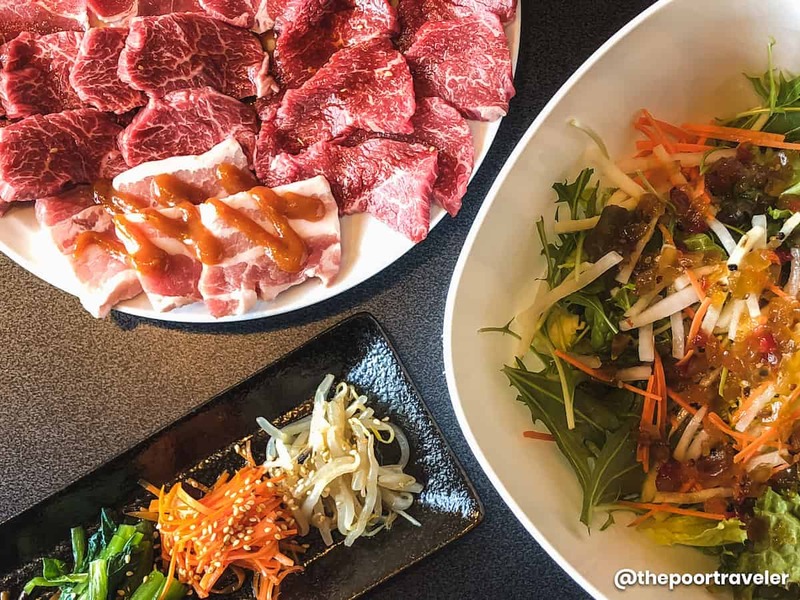 If you’ve worked up an appetite and feeling extra carnivorous, the place to be is Yakiniku Gozo. This isn’t a buffet but it is eat-all-you-can. You just need to order from a menu, which has beef, pork, and chicken cuts. I’m not sure if their beef is Tottori wagyu, but they’re tasty either way. There is a time limit, though: 90 minutes. How to get there: Yakiniku Kozo is 1km away from Sambommatsuguchi Station. From Yonago Station, take the train to Sambommatsuguchi Station. Travel time: 10 minutes. Fare: ¥190. From there, you can walk for 15 minutes. 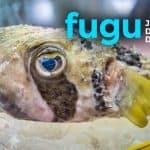 For a sushi restaurant that excellently showcases Tottori prefecture’s ocean bounty, it is weird that it’s named after Hokkaido, Tottori’s main rival as Japan’s source of fresh seafood. Kaiten Sushi Hokkaido Kaike or simply Hokkaido Sushi is a conveyor belt sushi restaurant that has loyal patrons from all around the prefecture. 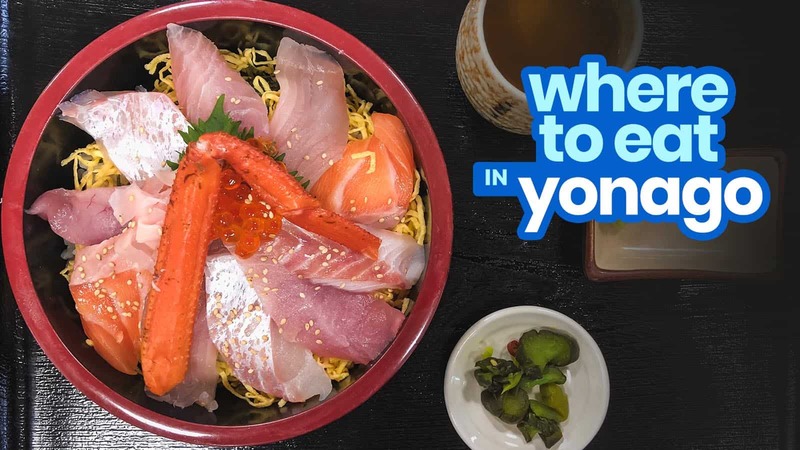 I’ve tried a lot of sushi places all around Japan and this Yonago treasure is remarkable on three counts: the freshness and quality of its toppings, the generous serving, and the low price. 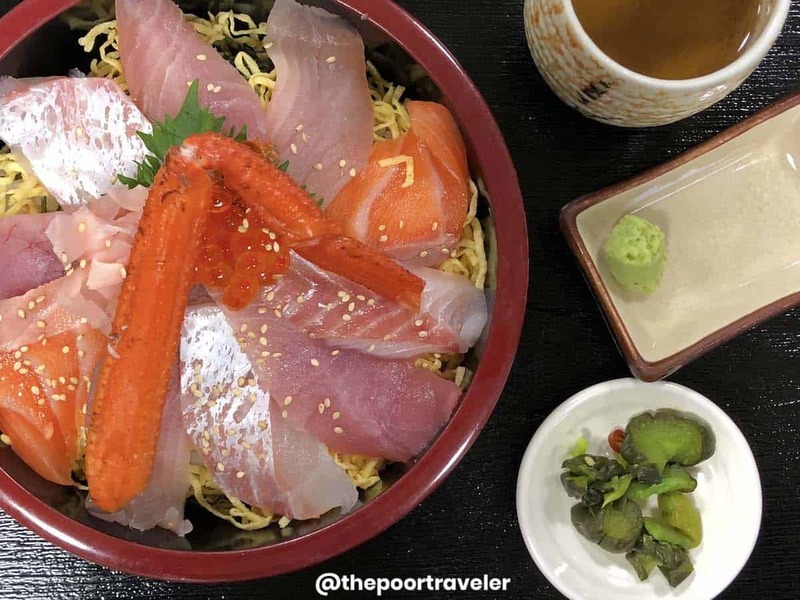 The freshness shouldn’t shock because Yonago lies just next to Sakaiminato, the fishing base of Western Japan for almost a century now and is home to Sakai Fishing Port, Tottori’s largest fish port. The big serving, however, surprised me. I’ve come to expect conveyor belt sushi places to serve pieces with thin toppings. I was so glad that Hokkaido Sushi wasn’t like that. 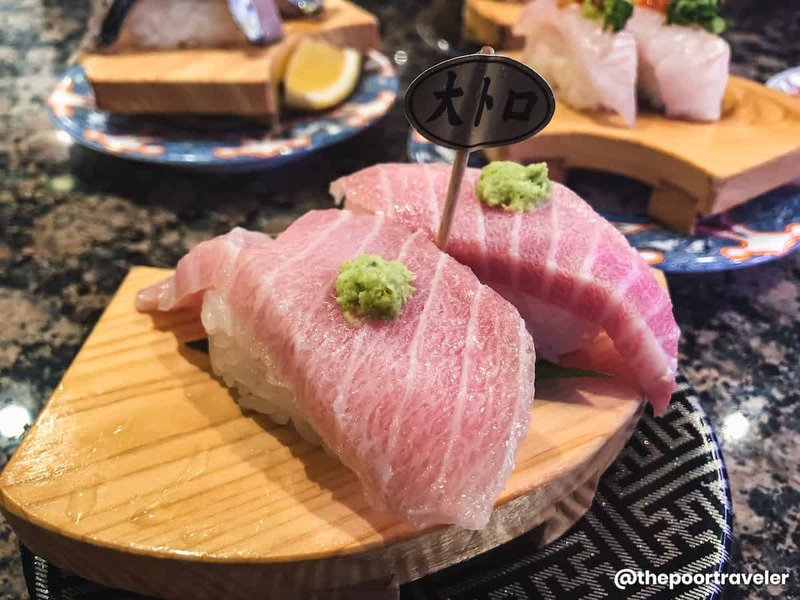 The cuts, even of the most prized ingredients like fatty tuna, are thick and almost double the surface area of the rice ball. Here are some pieces that stood out: red snapper, sawara (Spanish mackerel), flounder, mackerel, and tuna otoro. Prices: Most items are ¥120 or ¥180 per pair, but a few premium items can cost ¥380 or ¥480. If skiing down Mt. 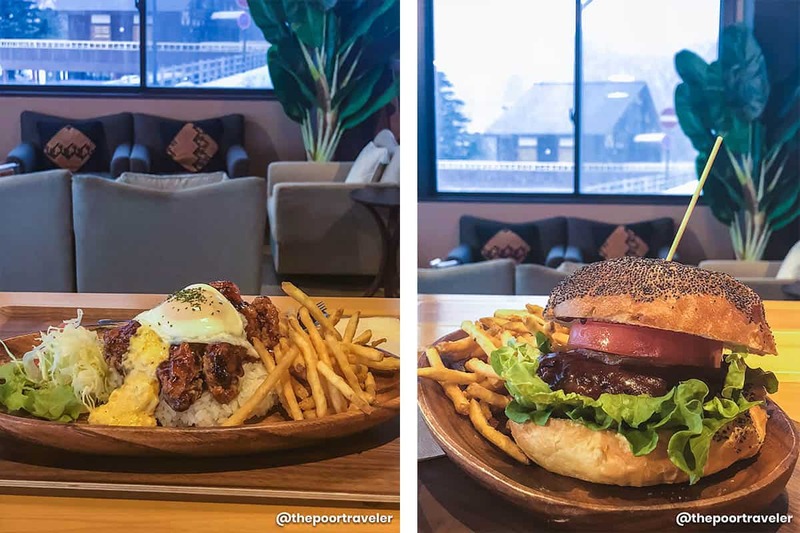 Daisen and visiting Daisen Temple are part of your itinerary, don’t miss Komorebito Sunset Cafe, located on the second floor of a ski shop along the entrance to the Daisen trail. It’s hard to miss. The building is one of the first structures you’re gonna see when you arrive in the area. Komorebito Sunset Cafe takes pride in its ingredients especially their proteins. They use Daisen chicken and beef. When it comes to meat products, Daisen is not just a place; it has become a trusted brand. The town is notable for its environment that is ideal for raising poultry and cattle, affecting the quality and taste. Try their fried Daisen chicken rice and 100% Daisen beef burger. Komorebito Sunset Cafe is spacious, surrounded by big windows that allow a relaxing view of the village. Imagine enjoying a cup of coffee while people-watching in a pleasant afternoon. It has a young, artful and — dare I say it — “millennial” touch to it that makes it not just a good dining place but a chill spot, too, and I’m not talking about the air temperature. 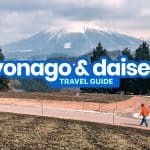 How to get there: At Yonago Station, take the bus to Daisen-ji. Travel time: 55 minutes. Fare: ¥800. Daisen is also well-known for its beer. It is home to Daisen G Beer, a local craft beer that is said to be up there in terms of quality. (I wouldn’t know. I am no beer expert. I just like chugging it down. LOL.) 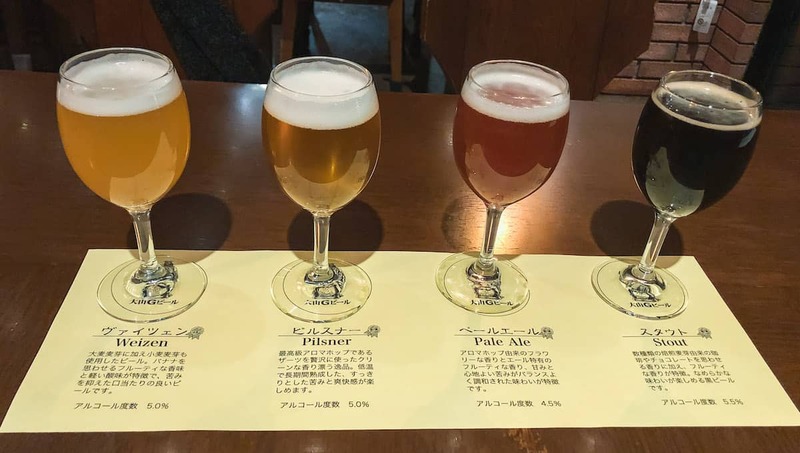 But yes, if you’re a beer-lover, you might want to make a stop at Bier Hof GAMBARIUS (Gambarius Beer Hall), which is the dining-and-drinking area next to a Daisen G Beer brewery. They’re most proud of their weizen, recognized as World’s Best Grain-only Wheat Beer at World Beer Awards a few years back. If you can’t make up your mind, you can try four of their products by ordering their sampler, composed of weizen, pilsner, pale ale, and stout. Sakaiminato has been the fishing base of Western Japan for many decades now. Facing Japan Sea, Tottori prefecture has all the right conditions for a lot of marine lifeforms to thrive. Hence, it’s no wonder that Tottori is famous for its seafood including mosa-ebi (stalwart shrimp), iwagaki oysters, white squid, and the matsuba crab. The matsuba crab (male snow crab) and mosa-ebi are two of Tottori’s most immaculate winter treats. Both are packed with soft succulent meat that have a distinct natural sweetness. Both can also be eaten raw, straight from the market. They’re so sweet and flavorful! Standing just next to Sakai Fishing Port, the biggest in Tottori Prefecture, Sakaiminato Seafood Directa sources their products from it. You’ll find several shops inside, each with their own display and tanks with live crabs and fish, guaranteeing freshness. There are tables where you can eat. 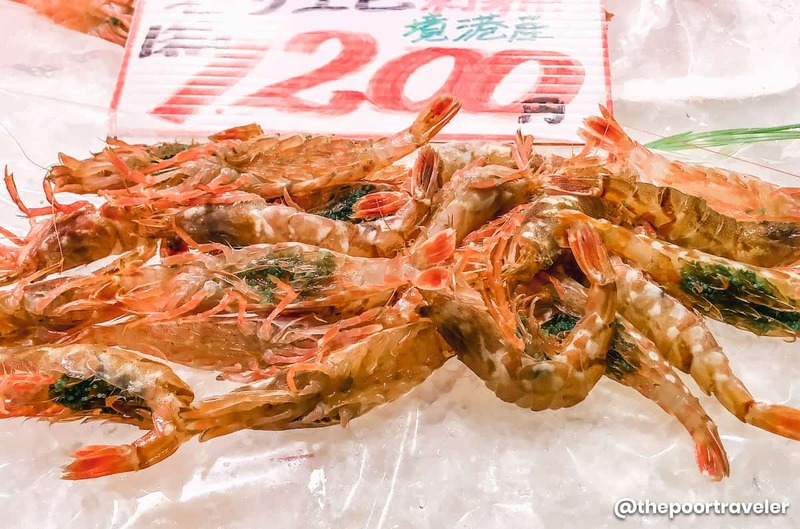 In fact, during our visit at Sakaiminato Seafood Direct, we bought mosa-ebi (¥1200), found a seat, and munched on them straight away without cooking. If you want a proper sit-down meal, you’ll find a couple of seafood restaurants inside too. How to get there: Sakaiminato Seafood Direct is situated 1.3km from Sakaiminato Station. Walking takes around 30 minutes. How to get there: Sakaiminato Seafood Direct is situated 1.3km from Sakaiminato Station. Walking takes around 30 minutes. Kaiyou-tei is inside the building. Kaigan is another seafood restaurant that serves the freshest sashimi in the city. We woke up really early to witness the crab auction at Sakai Fishing Port. Since Kaigan opens at 7am, we went straight to it for breakfast. Kaigan serves only 100% fresh seafood. They don’t serve frozen crabs. Given their location, they have easy regular access to the ocean bounty. Just like Kaiyou-tei, Kai-gan is popular for their kaisendon and crab meals. They also offer crab-all-you-can for ¥3000 per person, good for 35 minutes. When we dined here, the owner/manager of the restaurant refused to accept our payment because they said we were their first customer of the day, so it’s probably their tradition. Takauna Ramen is located in Kotoura town. But if you plan on going to Hokuei (Conan Town), this is somewhat along the way. Somewhat, haha. It’s easily accessible anyway. 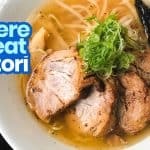 While the rest of the world is in love with tonkotsu ramen, whose broth is made from pork bones, Tottori uses cattle bones in their gyukotsu ramen. I’ve been to 21 prefectures so far and only Tottori uses this ingredient as base for their broth. It’s rare, yes, but not exactly surprising, given the prefecture’s affinity with beef. Takauna is one of the few places in the world that serve gyukotsu ramen. Takauna uses 100% cattle bone in its broth, accented by rock salt. Each spoonful delivered a punch of bold beef flavor. 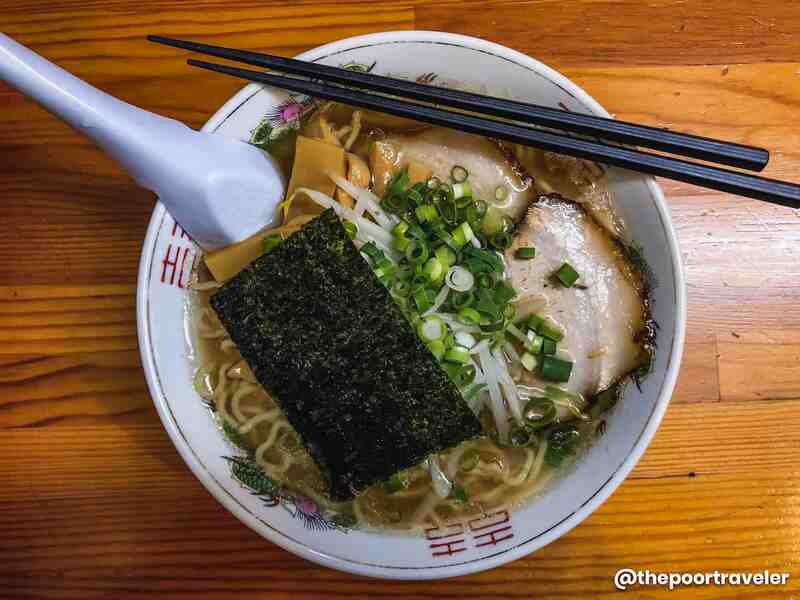 Each bowl of firm wavy noodles is crowned with slowly cooked chashu (pork belly), nori (seaweed), bamboo shoots, and green onions. Both my teammate Asta and I finished the bowl in no time. 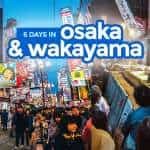 The best part, it’s only ¥600. Nearest Train Station: Urayasu. On Hyperdia, search for Urayasu (Tottori). How to get there: Takauna is located 1.2km from Urayasu Station. It should take 15-20 minutes if you walk. If you’re coming from Tottori City, take the train to Urayasu Station. Travel time: minutes. 90+ minutes. Fare: ¥970. 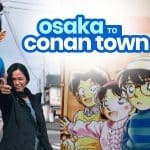 If you’re coming from Conan Town (Hokuei), take the train from Yura Station to Urayasu Station. Travel time: 6 minutes. Fare: ¥190.